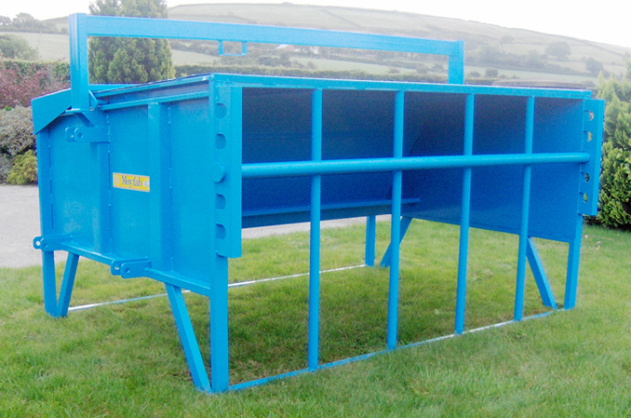 The 8ft x 5ft sheltered creep 3 point linkage standard hopper feeder, filled from the back with crow flaps. 400kg Full width hopper. Can be filled with loader or bags.